UFC-style competition will likely be rolled out Corps-wide within a year, according to Sgt. Maj. of the Marine Corps Carlton Kent. While Kent was clear that the final decision rests with the commandant, Marine officials are already in detailed meetings to discuss how an Army Combatives-style tournament system could be rolled out. Early this year, Kent sent Sgt. Maj. Howard Long, the senior enlisted Marines at Training and Education Command at Quantico, Va., on a fact finding mission that took him to the U.S. Army Combatives School at Fort Benning, Ga. There the Army’s master trainer, Sgt. 1st Class Jason Martin, gave Long the run down on the Army combatives system and how they run their tournaments. Marine officials have said they will model the Marine Corps’ tournament system after the Army’s which. That would mean Marines will be allowed to compete at the small unit level. The best fighters will advance to compete against other units and climb the latter in an effort to earn a spot at an annual all-Marine competition that will determine who are the Marine Corps’ best hand-to-hand fighters. 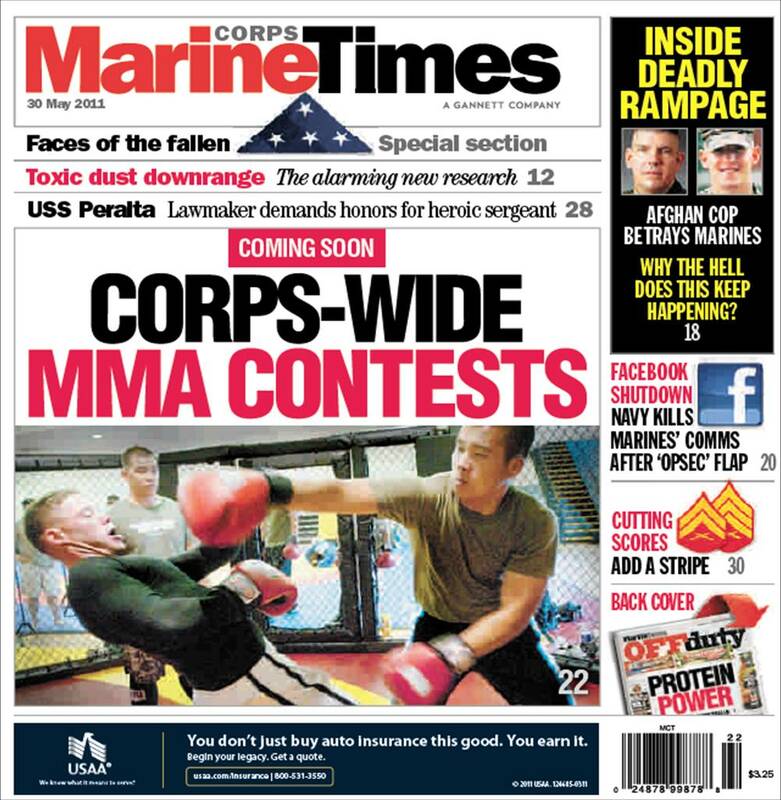 For the details pick up this week’s Marine Corps Times, on newsstands now, or subscribe here. Hello, i think that i saw you visited my weblog so i came to go back the want?.I am trying to to find issues to enhance my web site!I guess its ok to use a few of your concepts! !